When video games have plots at all, they are in service of the gameplay. But when the tables are turned and the gameplay is there to increase your involvement in the plot, it becomes something else. It becomes interactive fiction. It's a subtle distinction, but a useful one to keep in mind as we talk about The Last of Us. Naughty Dog has always had a strong narrative component in their games, but they've still always been video games. For all the brilliance of the writing and the acting in the Uncharted games, they were still games. When you come right down to it, if you separated the narrative from the gameplay they could stand on their own. Some entertaining animated films and some challenging shooters in interesting environments. 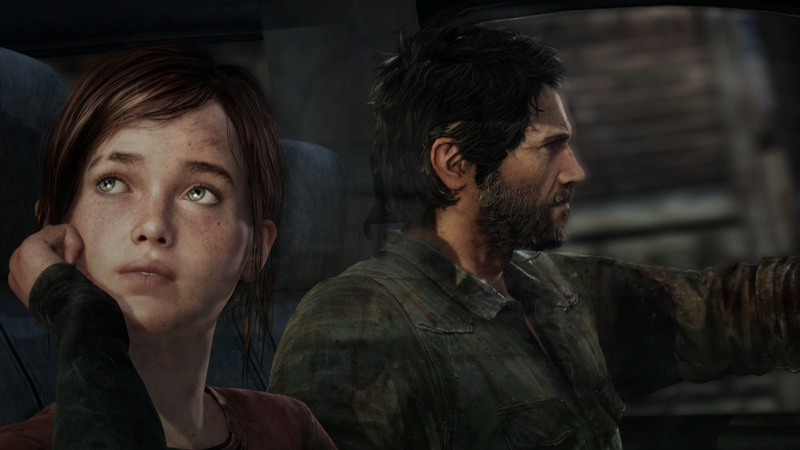 The Last of Us uses all of the same elements, but here they are inseparable. If you took the gameplay out, the story would be less powerful. You would be less connected to these two people, Joel and Ellie. The gameplay is there primarily to help you understand the hell that they are suffering through for each other. By taking control of these characters you get a privileged window into their story. A more privileged window than you'd get by simply watching. For the most part you are in control of the old man, Joel, charged with protecting the girl, or young woman, Ellie. Somehow, the act of protecting her brings you closer to them both. This is by no means a given. For instance, Bioshock Infinite use the same basic plot device and yet utterly failed to connect you, or at least me, to the characters. The general scarcity of resources contributes too. Often you'll have fewer bullets than enemies, even on easy. Lots of other games do resource scarcity as a way to ratchet up the tension, but the protector role elevates it. You don't have to conserve bullets so that you don't die, you have to do it so that Ellie lives. And when the game gives you the chance to be Ellie, you see that the feeling is mutual. At the same time, you the viewer don't have any control over what they are going through. You can't make any decisions that will smooth their way or ease their troubled hearts. You don't make the moral choices, they do. You are participating, but it is their story. Joel and Ellie's story. And that's what puts The Last of Us squarely into the interactive fiction category. It's interesting to talk about why this works so well. These are exactly the same mechanics as they used in Uncharted, and yet it's different. It's clear that Naughty Dog has, more than ever before, let the writing drive the whole thing. In Uncharted, the defined the set pieces and then asked themselves how to string them together. 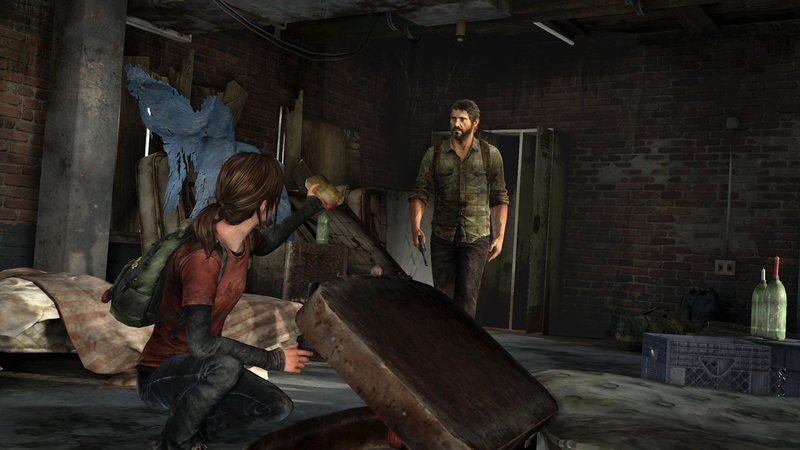 In The Last of Us they started with Joel and Ellie and asked what set pieces they needed to tell their story. Even the zombie pandemic, while providing the setting and driver for the plot, is not the point. As a result, the set pieces are noticeably less stunning. There are no 10 story buddas to climb, no battles in sinking cruise liners. But they're all the more powerful for that. It's a very emotional story. There are so many good moments but I'm afraid to talk about details. I don't want to give anything away. 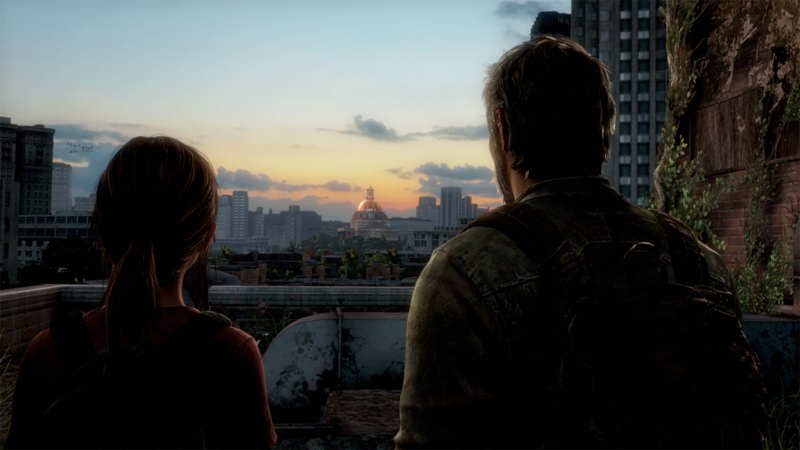 But there's this one scene near the end where Ellie and Joel are standing on a balcony just looking at the quiet drama unfolding below them. It's quiet, the location is almost mundane, and it's amazing. So have Naughty Dog cracked it? Can we now expect interactive fiction to blossom all over the place? They've done a phenomenal thing, but I don't think so. I said before that they let the writing lead the design of The Last of Us, but I left out a very important caveat. They could write any story they wanted to, provided it could be enhanced by shoot and stealth gameplay. There are only so many stories where this applies. 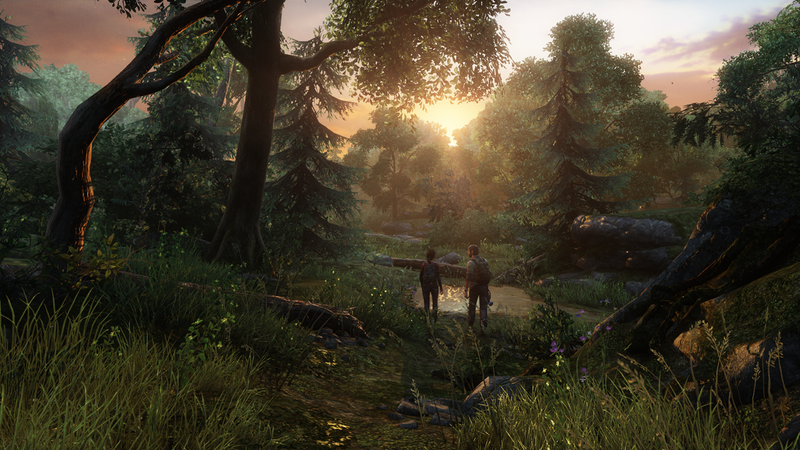 The Last of Us works because all the gameplay mechanics mesh so well with the setting and the story. The shoot and stealth, the scavenging for parts and building weapons are familiar from other games. But they all come together to help you experience the desperation of a post-pandemic world. They would be totally out of place, however, in a romantic comedy say. Or even a murder mystery. Miss Marple ducking behind tables and throwing Molotovs at the murder? It'll never work. Naughty Dog has taken action games and iteratively learned to use them to tell emotional stories. But they are still necessarily violent dramas. When a game strums our heartstrings this well without killing anybody, then we'll know interactive fiction has really arrived. I think we've got quite a few more iterations before we get there, but there's no reason to wait. Play The Last of Us right now.